If we were to rewind time back a couple of months, I was in no way a Star Wars fan in the slightest. I did, however, know that I needed to give them a chance because my trip to Disneyland Paris in January coincided with the launch of Season Of The Force at the Walt Disney Studios Park. I took the week between Christmas and New Year to watch them, and within about five days I had seen Episode IV, V, VI and VII as well as Rogue One at the cinema. I've still got Episodes II and III to watch but just watching those five turned me into a huge fan. I can't believe I'd not attempted to properly watch them previously! I arrived at the Walt Disney Studios Park in Paris at around 4pm, and by that time had missed two of the daytime events (or at least the English showings of them) - the First Order March and Star Wars: A Galaxy Far, Far Away. I did, however, catch the first ever Star Wars: A Galactic Celebration show. 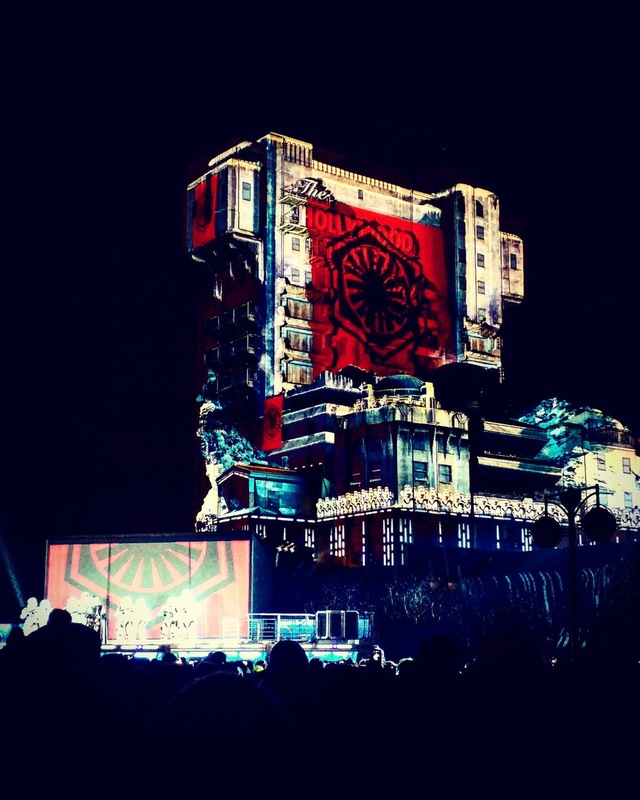 The show, which was a combination of projections on the Hollywood Tower Hotel, a stage show and fireworks, was absolutely incredible. 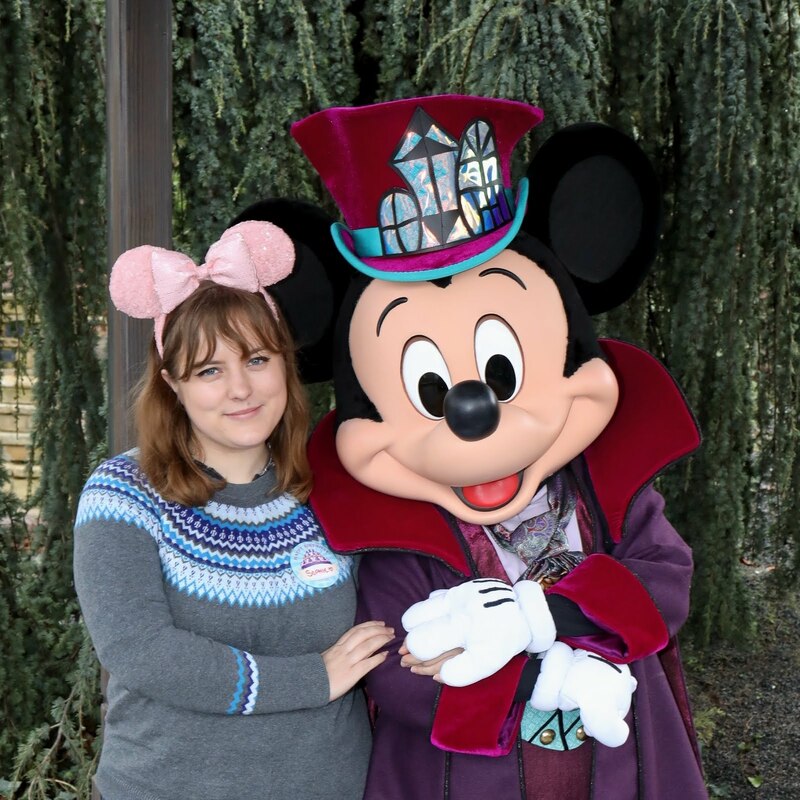 I then had a few days in the Disneyland Park, before heading back over to the studios on Tuesday to catch the two daytime shows. Just beforehand, we managed to be in the right place at the right time to catch the Stormtroopers who were parading. We then took a front row spot to watch the shows. It was great to see the inclusion of The Force Awakens with the First Order March, and then the Star Wars: A Galaxy Far, Far Away show was brilliant too! I loved all of the different aspects and characters they managed to include in all three shows and it was definitely a great addition to the studios park. There are a few things that they definitely could have done to improve the experience. Sadly there were no meets with any Star Wars characters, which was definitely an opportunity missed. It would have been great to have gotten to meet Darth Vader, Chewie or Kylo Ren, and even though you could briefly meet the Stormtroopers whilst on patrol, it was down to being the right person in the right place at the right time. Are you heading over to Disneyland Paris to experience Season of the Force? If not, check out DeAndre's vlog of all three shows here.